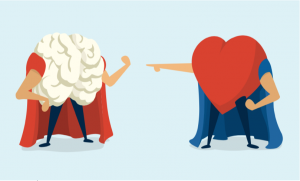 Emotional intelligence (EQ), a term popularized by Daniel Goleman, is the ability to identify and manage our own emotions, as well as identify and respond to the emotions of others. According to the World Economic Forum’s Future of Jobs Report, emotional intelligence will be one of the top job skills in 2020. So why is EQ so important? Basically because highly emotionally intelligent people are in a better position to put their own emotions and desires aside and take others’ into account; as well as being less defensive and more open to feedback, especially when it involves areas of improvement.